Elegant and clean template with big images, easy and clean colors, high contrast, fluent design look, beautiful typography, easy and simple to navigate and use. 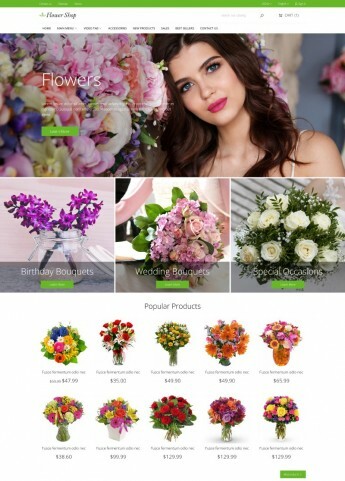 Flower Shop PrestaShop template comes with powerful customization options and controls such as unlimited colors, different layout, animations, fonts and many others. It is best used for products related to Flowers, Floral, Decorations, Weddings and similar products. Full Width and boxed layout option. HTML Banners and content module. Animations framework and animations on scroll. Responsive YouTube 16:9 videos integration. Responsive images in product descriptions. Full width and Touch-enabled Slider. Detailed User's Manual in English. Easy installation with theme installer. Demo sample data auto import. Translated in all LTR languages.